In light of Ferdinand Berthoud joining the bronze watch club during Baselworld 2018 with a new limited edition of five FB1 R models, we deem it appropriate to review the ever-expanding number of watches we saw at the show made with the ancient metal. Watchmakers at Baselworld already offering bronze options, including Zenith, Oris and Anonimo, reprised their allegiance to its charms in new models for 2018. Others with bronze watches already in their collections, including Tudor and Zodiac, focused their debut energy elsewhere. A new interpretation of the 44mm watch first seen earlier this year at SIHH 2018, the 1785 edition is a series of five bronze watches – each of which is truly unique due to the use of various artistic patinas. 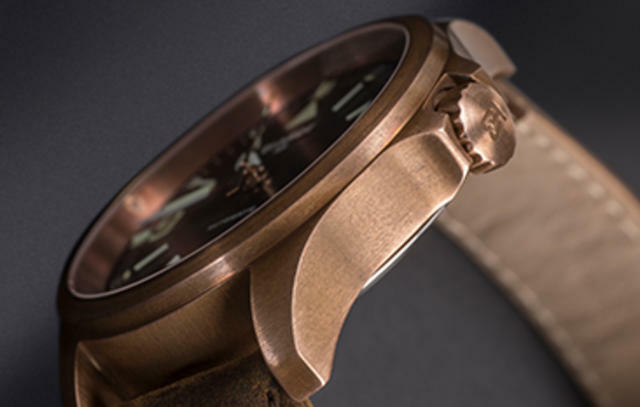 The presence of bronze and caliber FB-T.FC.R-2 are meant as reminders of the marine chronometers and sextants used for measuring time at sea. The incredible Caliber FB-T.FC.R-2 is one of the rare movements to feature a fusee and chain transmission system that acts like an automatic reduction gearbox, since the torque delivered by the barrel varies according to the state-of-wind. Together with the tourbillon (visible through the caseback) the caliber operates with COSC chronometer status. 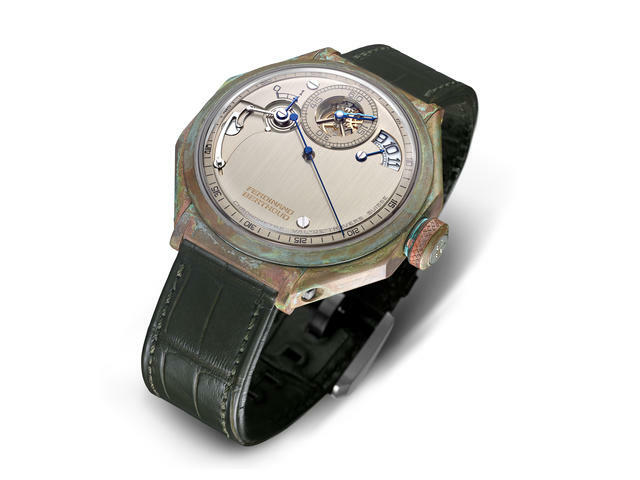 The price for one Chronomètre FB 1R - Edition 1785 bronze is $254,000. 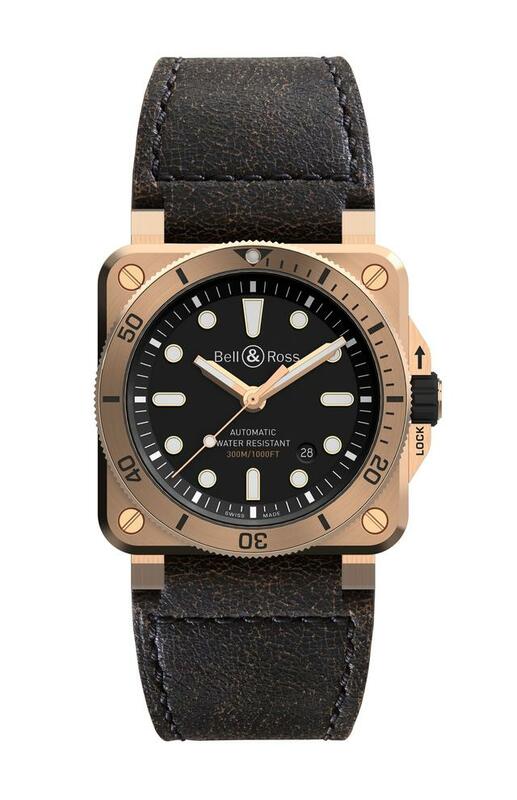 As one of three new additions to firm’s 42mm square-cased BR03-92 Diver collection, this handsome design recalls the widespread use of bronze in many marine applications. 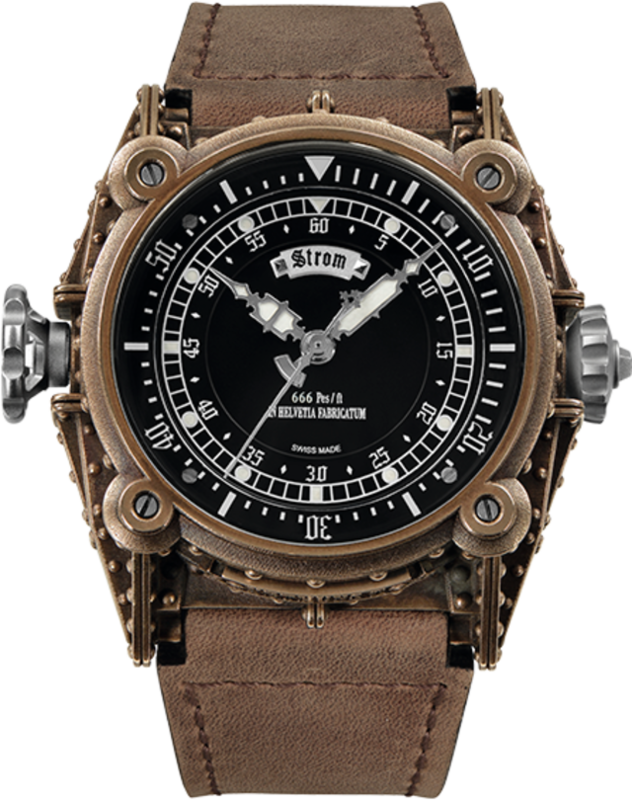 The watch’s case and bezel are made from bronze while the steel caseback features an engraving of a vintage diver helmet. The aged leather strap underscores the watch’s vintage spirit, though Bell & Ross includes a rubber strap for use while diving. This automatic model, compliant to the ISO 6425 dive watch standard, is issued as a limited edition of 999 pieces. Price: $3,990. This Italian-influenced maker known for its sporty watches added a third collection at Baselworld 2018 called Epurato. The new design retains Anonimo’s well-known cushion-case but marks a turn for the elegant with both a smaller case diameter and a traditional crown location at 3 o’clock. The first model in this new collection debuted in bronze, a case metal Anonimo helped popularize since it began offering bronze-cased dive watches in 2006. Epurato’s dial is distinctly Anonimo with its large Arabic 12, 4 and 8, set to trace a triangle across its broad dial. There’s a crown guard here as well, echoing Anonimo’s Nautilo collection. 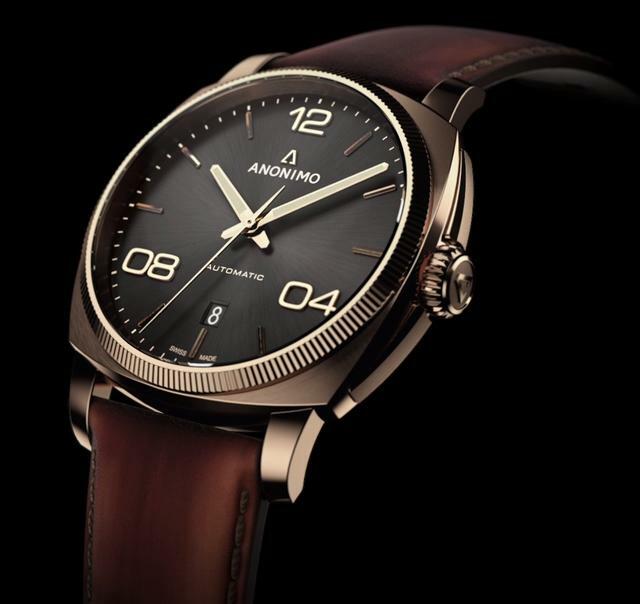 But here Anonimo plays it traditional with a crown at 3 o’clock instead of at 4 o’clock as on its Nautilo collection, or at noon, as seen on Anonimo’s Militaire line. 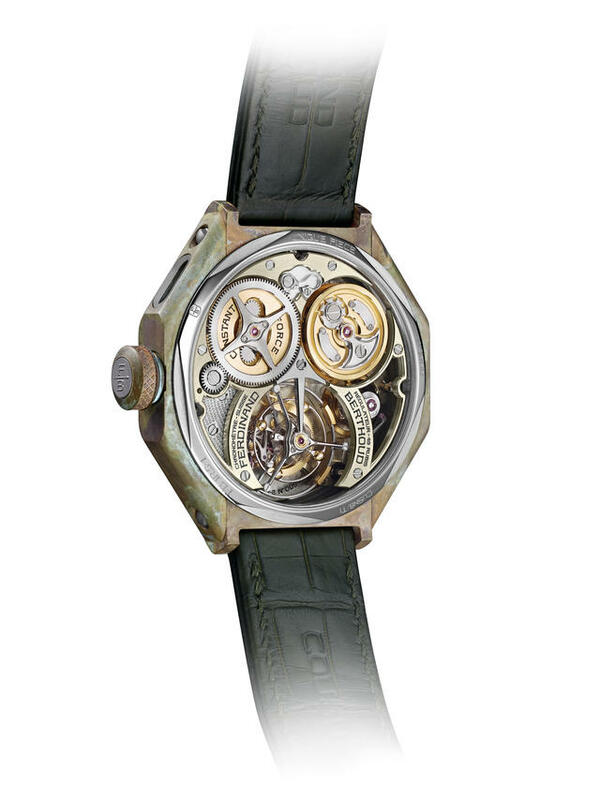 A Sellita SW200-1 automatic movement, visible in part through a transparent caseback, shows a beaded movement endowed with a skeletonized and Côtes de Genève- decorated rotor. Price: $3,185. This watch, which debuted to great fanfare in 2015, is now available with a bronze bezel—and in two sizes (40mm and 36mm). While small by today’s standards, the 36mm is actually not far off the average size of watches from the 1950s and 1960s, including dive models. Also, the smaller size will appeal to men with smaller wrists and those who enjoy all things vintage. Women who enjoy dive styles but not their traditionally large cases will like this too. Inside you’ll find the Sellita-based Oris Caliber 733. Prices start at $1,975. 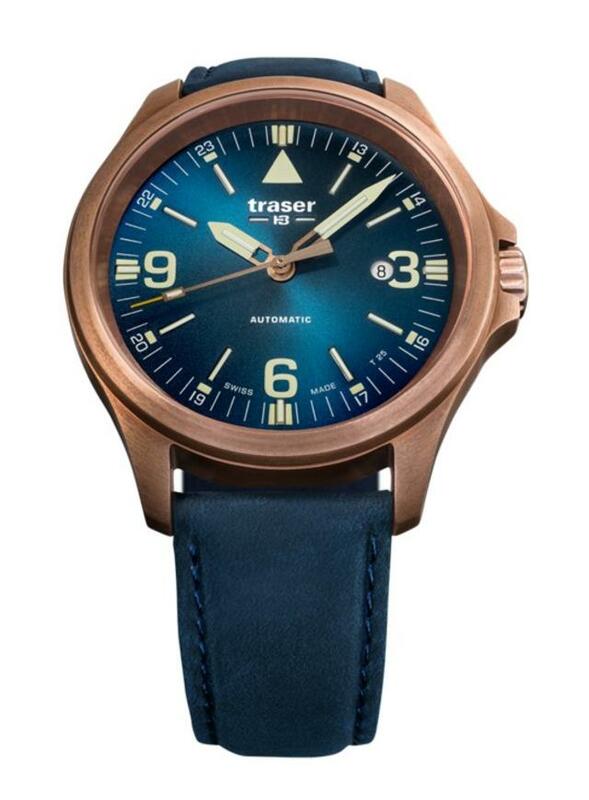 This second limited edition bronze watch is as much a winner as its namesake, U.S. Navy Master Diver Carl Brashear. 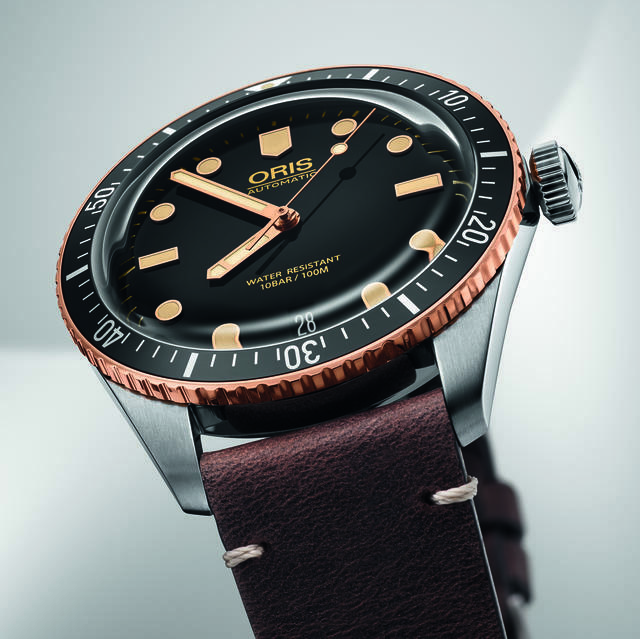 You might recall that the original Brashear Limited Edition was Oris’s first all-bronze-cased watch, and Oris says it used bronze again here for the case, crown and pushers to represent the early diving equipment Brashear used. Automatic chronograph movement Oris Cal. 771, based on Sellita SW 510, powers the piece. 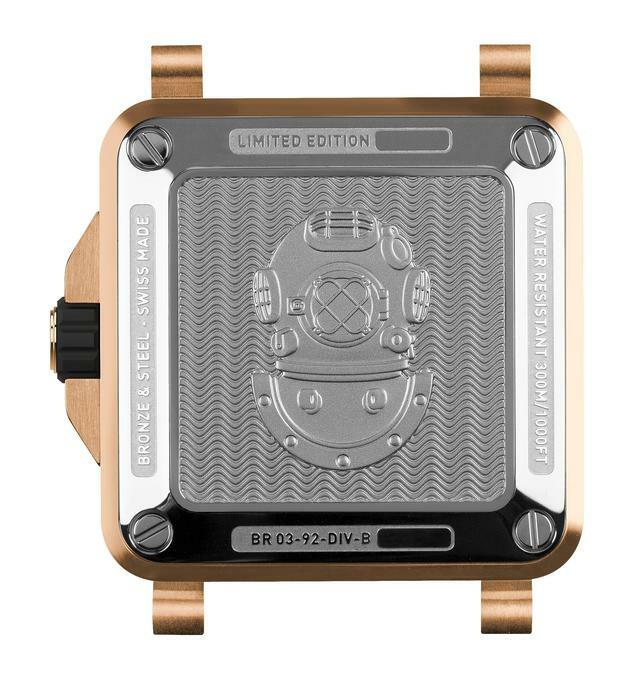 The watch has a stainless steel case back embossed with a diver’s helmet and Carl Brashear’s famous quote: ‘It’s not a sin to get knocked down, it’s a sin to stay down.’ Price: $4,950. This emblematic Oris design is now smaller and dressed in bronze. Its smooth, round case and tapered lugs, coin-edged bezel, oversized crown, clear dial, and central date pointer hand is one of Oris’s most recognized looks. 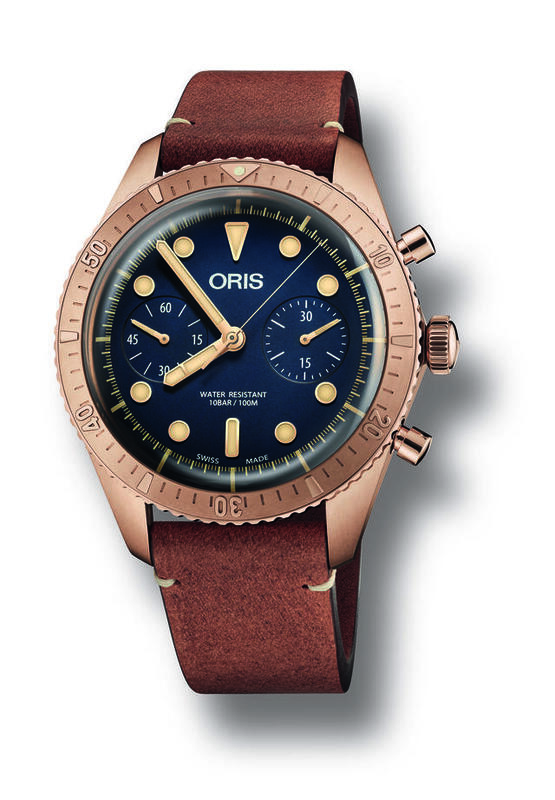 Originally designed in 1984, the watch was inspired by a 1938 Oris watch. 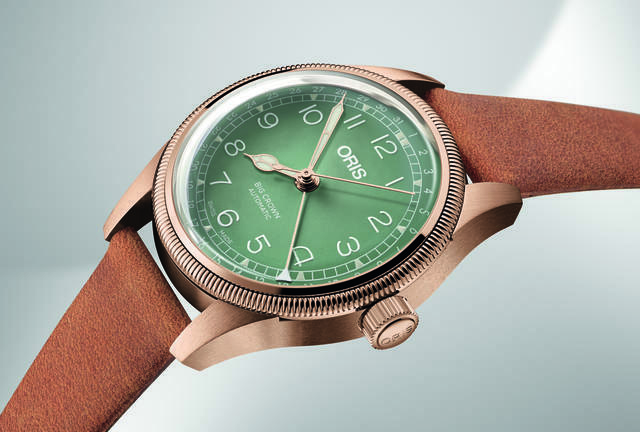 Re-issued last year in steel and in 36mm and 40mm, the bronze version this year is also distinguished by its light green dial that Oris says was inspired by a color keyboard in Le Corbusier’s “Polychromie Architecturale.” Inside is automatic movement Oris Cal. 754, based on Sellita SW 200-1 with a pointer date function. Price: $1,600 to $1,800. The 43mm Reservoir Tiefenmesser collection takes its inspiration from the materials that feature so prominently in submarine equipment: the steel of the instruments measuring pressure and depth, and the bronze and brass of a periscope. The two models have a white dial, a blued hand, industrial-style black and blue index markings, aged leather straps and a single aperture for the time. 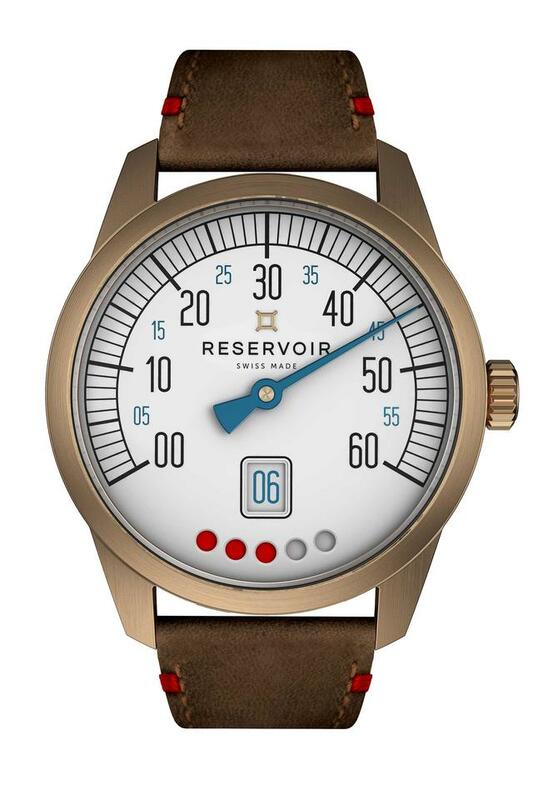 The power reserve here is displayed in the form of a mechanical gauge with a red background. Prices begin at about $4,100. 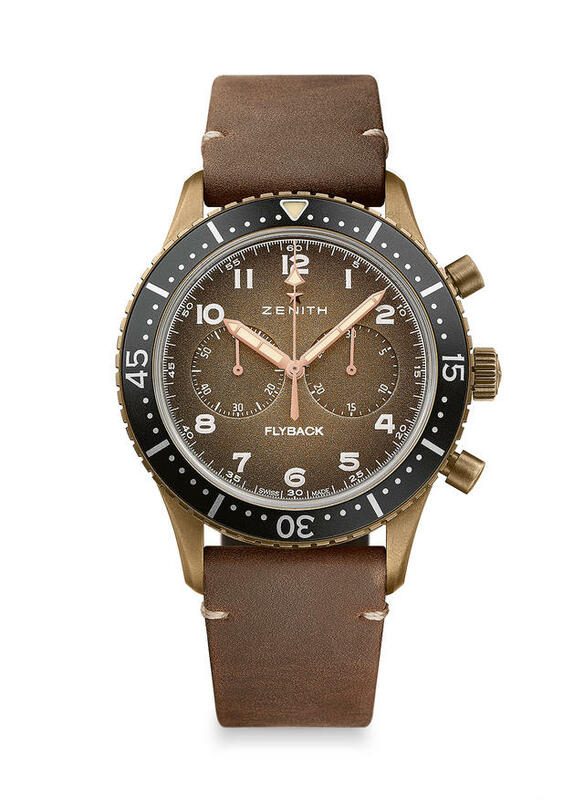 Zenith’s red hot 2016 re-issue is now made with an aged bronze case option and now includes a flyback function built into its El Primero caliber 405 B. The 43mm pure aviation watch (which we originally saw earlier this year, but which was reprised at Baselworld) revives Zenith’s 1960s Cairelli model in a choice of aged bronze or aged stainless steel. On the vintage-inspired dial hours and minutes are placed in the center while a running small seconds can be seen at 9 o'clock. The flyback chronograph includes the central chronograph hand and the 30-minute counter at 3 o'clock. 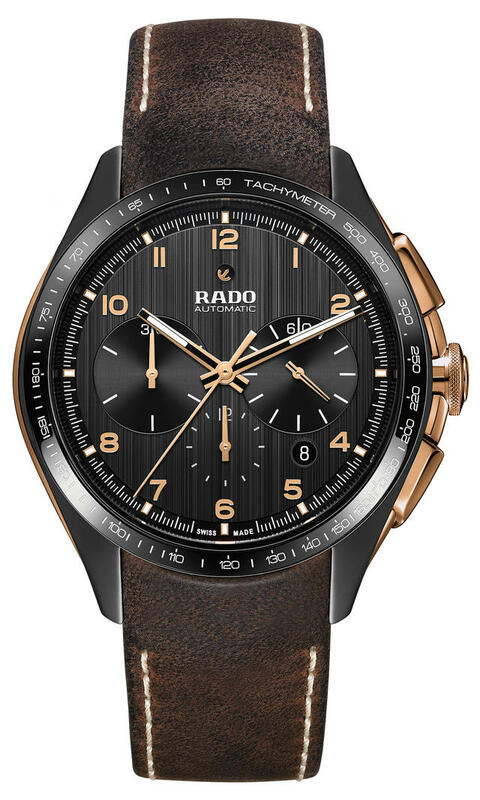 Two dial options, bronze-grained or slate-gray-grained, perfectly complement the bronze case. Price: $7,600. 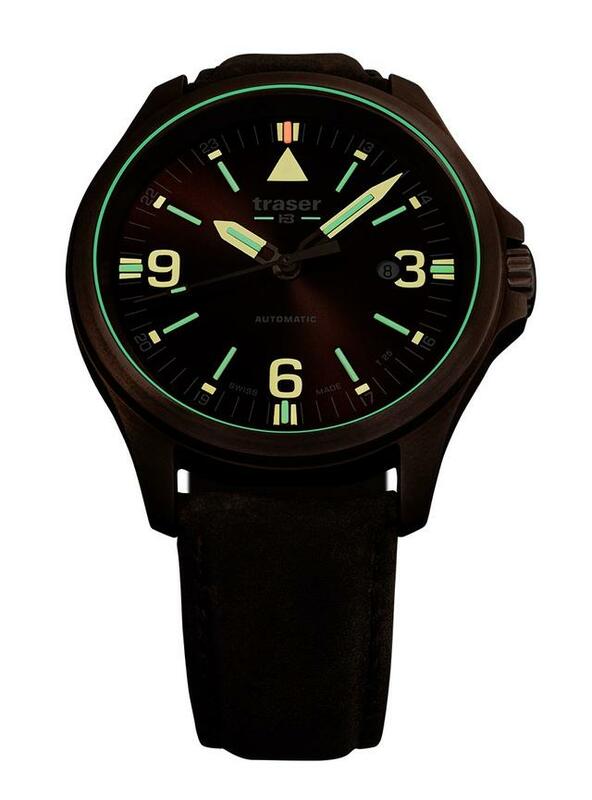 Illuminated by Trigalight, the sealed tritium gas tubes made by Traser’s Swiss-based parent company mb-Microtec, this officer-style watch glows with a slightly dressier look than many other Traser models. Offered with a blue or a brown dial, the P67 Officer Pro Automatic features a 45mm vintage bronze case made of CuSn8, a somewhat redder bronze made with 92 percent copper and 8 percent tin. Contemporary styling with a slight retro touch means this dial is among the clearest around, in daytime or at night. Prices begin at 695 Swiss francs, or about $725. Named for the Etruscan god of the sea, Nethuns symbolizes the earth’s perpetual water cycle. Presumably the mass of handcrafted bronze used to create this ornate 48mm dive model will gain a patina more interesting than most bronze cases. In fact, Strom emphasizes what it calls the unstable alloy. “The bronze of the case and buckle is not stabilized which means that there will be a natural corrosion on the metal,” according to the brand’s description. Strom’s devilish nature is also evident with the ‘666’ on the dial. Price: 9,999 Swiss francs (approximately $10,400). One of my favorites from Baselworld 2018, which you saw last week, this 45mm debut contrasts bronze and high-tech ceramic construction in a limited edition of 999 pieces. You’ll find bronze side inserts, an engraved and polished black ceramic case back and a bronze crown and pushers. The result is a nicely balanced layout with a clearly brushed dial. Price: $4,950.